Cherry Mobile Flare HD 2.0 With 2.5D Glass Is Priced At 2999 Pesos! Home / cherry mobile / mobile / news / Cherry Mobile Flare HD 2.0 With 2.5D Glass Is Priced At 2999 Pesos! 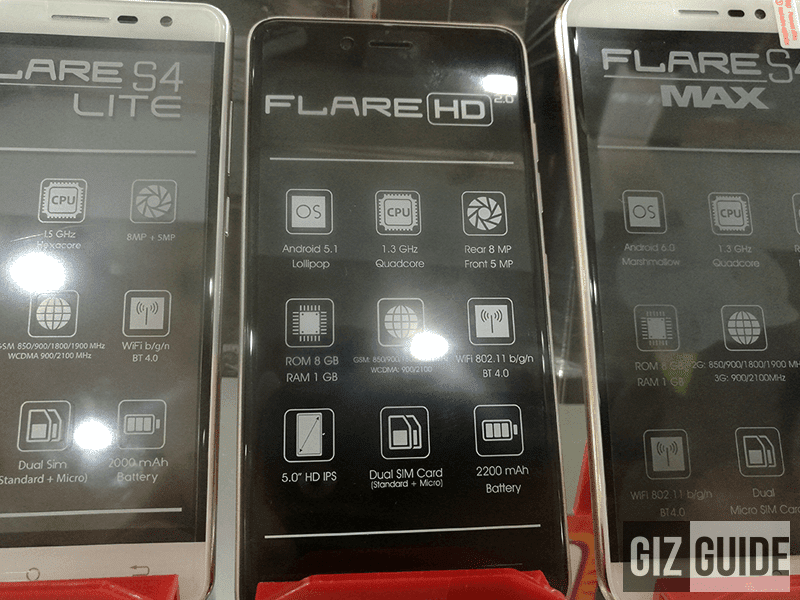 Cherry Mobile has a new phone that's silently on stores now, the Flare HD 2.0. It's a budget friendly handset that highlights a beautiful 2.5D curved 5 inch HD screen and runs on Android 5.1 Lollipop OS. Under the hood, the Cherry Mobile Flare HD 2.0 boast a 1.3 GHz MT6580 quad core processor paired with Mali 400 GPU, 1 GB RAM, 8 GB expandable ROM, and 2,200 mAh of battery capacity. This handset carries an 8 MP main camera w/ LED flash, 5 MP in front, 3G connectivity, Bluetooth 4.0, and has dual SIM card slots. The Cherry Mobile Flare HD 2.0 is now available in some Cherry Mobile stores with an SRP of just 2,999 Pesos.